Everyone can finally enjoy simple home cooking without burning anything to a cinder. But how? Now that our App is available for Android and iOS, you’ve got everything you need to cook easy healthy food. So, there’s no excuse to order dodgy take aways. What can the HelloFresh App do? Our App allows you to order your HelloFresh box. Then all the recipes and steps you need are right there on your phone. You’d like a timer? Check. In need of some cooking hacks and tips from our blog? Check. Would you like easy access to your account? Got it! Keep your New Year’s resolution to eat better with the HelloFresh App. Not a HelloFresh customer? Say goodbye to the days of scribbling down recipes onto the back of your hand in a mad rush to get to the supermarket. It’s a new dawn and a new day – and we’re feeling pretty good about it! Now with the HelloFresh App available on both Android and iOS, if you want to cook one of the hundreds of the deliciously healthy recipes in our collection, you won’t need any paper. Just click on our App and in a flash, you’ll find a list of all the ingredients with all the instructions you need. We want everyone to enjoy home cooking at its easiest. 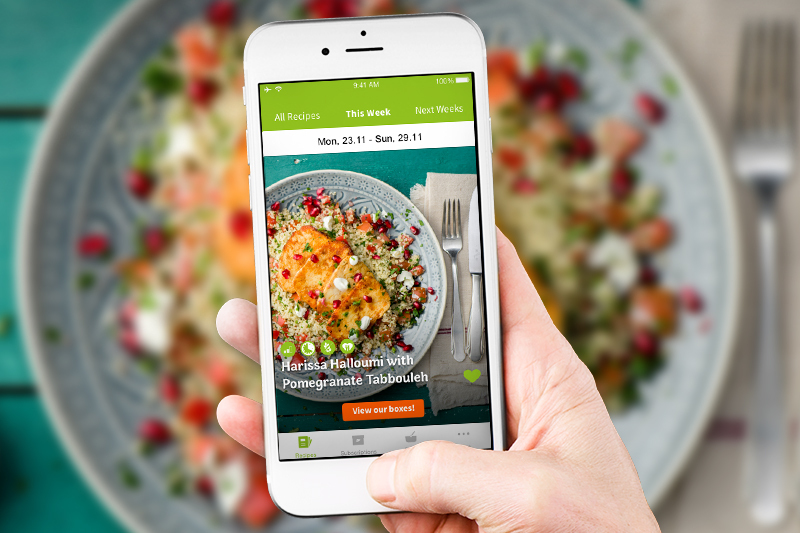 So even if you’re not a HelloFresh customer, you can still download our App and start cooking today!